Money Market Tips: TOURISM- MONSOON TOURISM IN GODS OWN COUNTRY. 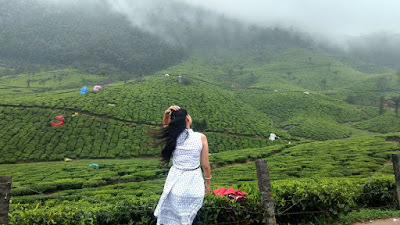 TOURISM- MONSOON TOURISM IN GODS OWN COUNTRY. The Monsoons in Kerala do not take the pattern of incessant rains continuing for weeks. Virtually it rains for a few hours with sunny interludes. Occasionally the rains might stretch on for a few days but the respite of sunshine is never far away. People look forward to seeing the sun peep through the wet palm fronds and rain drenched green. These golden interludes provide an equilibrium to life's natural flow. Mid October witnesses the arrival of the Northeast Monsoon. In the Malayalam calendar this month is called Thulam and hence the name Thulavarsham meaning the 'The Rains in Thulam'. Now the gathering rain clouds are from the Bay of Bengal. These bearers of rain hurry to Kerala through the Palakkad Gap in the Western Ghats. The swirling, jostling, billowing dark messenger of life sailing on the wings of northeast winds is a breathtaking sight to behold. The art forms of Kerala demand the utmost dedication and training. These native art forms require complete control over each nerve of the body. As part of this training the artists undergo ayurvedic therapies. Special herbal oils and medications are applied on the body of the artist during the Monsoon time to ensure muscle flexibility and dexterity of movement.